Presents a collection of short audio essays adapted from the CBS television program about ordinary people in the United States leading extraordinary lives. Wow. This was an awesome book. It's a great look at an America long gone, and a nice change from the gloom and doom and man's inhumanity to man that's usually in the news. The gumball story brought back memories of saving up to buy the one for $3 on the shelves of Woolworth's. Decades ago, Charles Kuralt used to do this little human-interest news segment where he'd travel around the United States basically talking to random people he found interesting for one reason or another, or who lived in interesting places or did interesting -- if sometimes only mildly interesting -- things. This is a collection of those segments in text form, with black-and-while pictures. It was published in 1985, although some of these pieces seem to date back at least to the 70s. Each segment is only a few pages long, usually featuring a few words of wisdom from the person in question. Most of them are old people -- now probably all dead, I suppose, which is a slightly odd, slightly sad thing to think about -- and many of them are people who once pursued, or still were pursuing, professions or ways of life that had already effectively disappeared by the 80s. Some of them are just odd characters. And quite a few are people who do nice things for others without reward. All of which sounds very charming, so I feel kind of bad for not liking this more than I did. But the truth is, these profiles are all so short and shallow that there's not a lot to really get into here. Often there doesn't really seem to be a whole lot to be said, and much of the book, to me, reads more or less like: "Look, here's a guy from rural Kentucky who's a croquet champion. Isn't that funny? You expect only rich people to play croquet. And, hey, this old guy makes kites for kids! Isn't that nice? And now, a town with some pretty butterflies!" There's really not a lot there, and when there is, when it's clear there's some really interesting backstory and details it would be cool to hear a lot more about, that's not forthcoming, either. Which is too bad, as I really would have liked to hear more about, say, the high school class who built an airplane in wood shop. I didn't actually understand that story, to be honest -- was that actually a real, functional airplane? -- but I would have liked to. I bought this because I had very good memories of Kuralt on cbs Sunday morning. He's dead now. I recall when Charles Kuralt did his little stories on television, so when I saw this book at a yard sale, I decided to give it a try. It's hard for me to review a book like this: most of the "stories" are only two or three pages long. However, the author packs a lot of story in the brief chapters. Some of the people he met make you go "hmm", others make you smile or chuckle, and more than one brought tears to my eyes. Why would a book full of little stories about ordinary people move me in this manner? 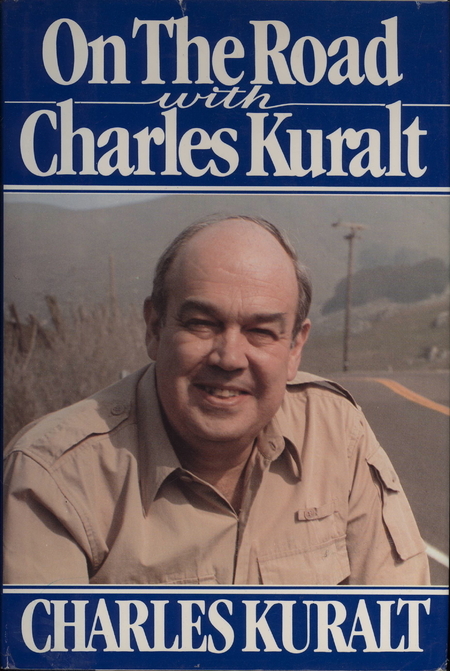 I think it's a combination of the truth and Charles Kuralt's literary talent. Whatever it is, it works, and I appreciate it. G. P. Putnam's Sons (1985), Edition: 1st. Amer. Ed.